If you have a craving for McDonald's after midnight, you might be troubled to know your grazing options will soon be more limited. Starting April 30, the fast food chain will simplify its late-night menu by almost 50 percent to include only the most popular items so that customers can get what they want as fast as possible. "We always want our customers' experiences to be simple, smooth and delicious - any time of day," a McDonald's spokesperson told The Daily Meal in an email. "That means, day and night, we're always looking for ways to serve them better." Just think of yourself as Cinderella, but instead of your carriage turning into a pumpkin at midnight, you won't be able to order Artisan Chicken Sandwiches, Buttermilk Crispy Sandwiches, Buttermilk Crispy Tenders, Filet-O-Fish or salad. 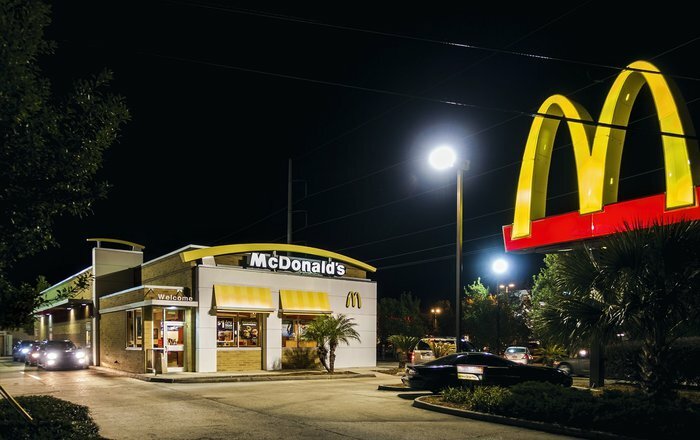 Night owls can still get the Big Mac, Quarter Pounder, Chicken McNuggets, All-Day Breakfast, fries and all other sides, apple pie, Happy Meals and McCafÃ© beverages. Thankfully, everything that got trimmed from the late-night menu is still available in stores during regular business hours. Don't panic! The iconic Filet-O-Fish lives to see another day, unlike these McDonald's menu items you'll never see again.